Genuinely intrigued by this post. My reading might be flawed, especially since I lack the context of conversations taking place elsewhere (such as in G+, which I do not use/read), but this post is coming off to me as saying “my (this blog’s) stance is having no stance”, which is odd given my previous impressions of this blog in particular. I’m obviously not entitled to clarifications or anything of the like, but I’d appreciate it if anyone could shed some light onto what Brendan is talking about when he mentions “polarization”; my understanding is that saying “bigotry/hatred/being an asshat is *not* cool” is as basic (and human) a statement as it gets, so I am kind of confused. Basic statements of the good/bad variety are categorical and throw away a lot of information. Circumstances sometimes demand oversimplification, such as in the voting booth. My spaces online are not the voting booth and my way is not that of Demosthenes. In spaces I control, people must respect each other. This involves avoiding bigotry, respecting identities, and reading others’ words charitably. Is that clear? Fair enough, and thank you for the reply. Apologies if anything I said came off as disrespectful; I hold this blog in high regard and was concerned if that would change, hehe. My semiotics knowledge is super lacking, but I lean toward believing the reader has a lot of participation in the making of the meaning of the text. I’ll admit your answer was somewhat disappointing. But, as you said, this is your space and you can ask for commitment of time/attention for more nuanced readings. I guess that’s all? Your reply was perfectly respectful. I don’t entirely follow the point about semiotics or which part of my response was disappointing. If you want to talk directly rather than in a public comment thread, you can find my direct email in the “About” tab above. Don’t worry, I don’t think my doubts are significant enough to warrant emails, hehe. As for the semiotics bit, I meant that I can be frustrated when “too much” is left for the reader’s interpretation; I’m not entirely certain one can avoid binarisms* in the perception of other participants of discourse, such “us against them” on the logo controversy. And so I’m usually more comfortable with clear-cut statements. But at this point you have clarified enough, and this is ultimately your blog and you know your readership better than anyone else (hopefully). *: It might be ironic that I could be reinforcing said binarisms by saying how inescapable they are, but that’s too much digression. Addendum: anyone is welcome to comment on this post or respond to my comments, but please avoid responding to the comments of others. I want to avoid big side arguments between third parties. Start your own conversation somewhere else if you want to pursue such discussion. 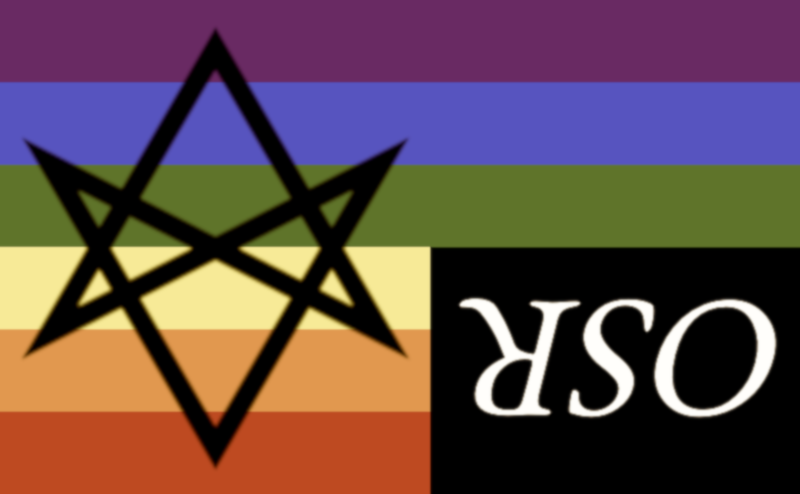 Here’s a substantive question for you: how do you think we (folks who play OSR type games as specified above) should handle the trollish types who, for example, post trans-mocking statements, or generally go on screeds about “liberal swine”, etc.? I ask because I think they do give the general label a bad name to the outside world, and also periodically drive away some voices that would contribute to a more diverse OSR. Re: trolling behavior: I am unsure what the best way is to deal with attention seekers that are insincere or have ulterior motives, especially given the social accelerant of the Internet. Even counterargument can provide a form of validation and publicity. This is, of course, a problem that extends far beyond communities of hobby interest. I can help increase diversity and tolerance through my own participation and approach to interaction, which may be unsatisfying depending on particular goals, and almost certainly insufficient, but it’s a start. Regarding your second example, assigning someone to an essence category such as swine based on preference in tabletop roleplaying games is absurd on its face. Expecting position statements on every inconsiderate, thoughtless, or malicious hot take is also probably unproductive, not to mention tiresome. Let me think more on this. You know I don’t agree with your stance, but i can respect the way you lay it out. To me the OSR label, like many great things, has outlived its usefulness. The OSR ‘design principles’, as you quite interestingly refer to what I call an ‘ethos of play’ (these may interestingly be different things – and that’s a worthwhile discussion for another time), are now subject to cautious interest among the larger RPG community, in a way they didn’t seem to be back in 2011. This is largely the work of the OSR and many of its individual members. At the same time the OSR itself is a rather battered and dingy label that seems to bring up bad associations in a lot of people, especially outside its embrace. Now I don’t think it’s wrong to want to keep using it, I just think it’s tactically unwise and self-limiting. You’ve always been a rules hacker who borrows freely from a lot of play styles and games – what’s in it for you (I know it’s not money) in retaining the OSR label? It seems like something that get a rolled eye and dismissal outside its own community – where it’s now, perhaps unfairly, linked to some bad actors with hateful views and has long been considered an ‘edition warrior’ stance (I’m guilty of this one, I admit). Plus it lumps together so many different ideas, mechanics, rules and such that it’s unnecessarily confusing and totalizing. As I said elsewhere – why should I want to carry water for the politics of some neanderthal, unintentionally promote some terrible cash in efforts on RPGnow, and justify elves as a class (the second one isn’t hard – but it’s distracting) while trying to explain why encumbrance is cool to a more new school player? The only obvious alternative current positioning I can see is Dungeons & Dragons itself, which has drawbacks as a corporate trademark, not to mention a significantly different dominant mainstream playstyle. Arguably, the conceptual category must differ from Dungeons & Dragons (the mainstream signifier), otherwise the possibility of other approaches will be obscured for people who start with 5E core. It is a challenging collective action problem, as the landscape is distributed; no single individual has control over the organization of knowledge under this umbrella. The biggest relevant wiki is the OSR links to wisdom. When Ram hacks together a blog collection import file, his post title is OSR OPML. When Patrick describes the style of play implied or expected by his work, he calls up the OSR Witchfinder, retaining the referent despite the the ironic literary device. Pretty much all Skerples’ blog post titles start with an OSR: prefix. The tag line for Questing Beast, the relevant YouTube channel with largest audience, is: Flip-through reviews of the best new books from the OSR DnD scene. When you respond to comments in a recent post of your own about balance and challenge, you use the term OSR/OD&D sensibilities to organize your thoughts. On DriveThruRPG, What Ho Frog Demons is in the “Old-School Revival (OSR)” category, because that is the parent category for products using Labyrinth Lord rules. At the time of this writing, a DriveThruRPG query on the top level OSR category returns 3416 results. I agree with you that many, probably most, of the entries in this category considered as a whole are probably uninspiring, but if you sort by highest rated (which is the default I think) the list of results is an okay place to start. Apart from those two options, I see only incoherence and balkanization, which fails to live up to the potential of these games. I don’t know that fission is bad, I think it sounds liberating. The OSR has long been many communities – from ad&d nostalgia archeologists to diy setting builders of every stripe. That these different groups have enough individual clout not to need a single tent to hide in, especially when any prior communal fellowship is being exploited by commercial hacks, manosphere monsters and malignant narcissists, is a good thing. I think it’s possible just to say “This is how and why a classic dungeoncrawl works'” or publish that and find acceptance, interest and fellowship without needed the poisonous label of OSR, or even a new one like ‘Darksoul D&D’ (not least because Darksoulism would be real hard, to do in party based D&D no matter how much the aesthetic meshes with a common old school one). I guess what I’m saying is that I’m not fretting over labels. The community is fractured. There was never a consensus about the object of that community and the stakes are low. It’s time to hare off doing ones own thing and trust that there’s a big enough audience for it. RPGnowcand the other carrion crows of comnercialization might demand labels, but who cares if one isn’t in this for commercial reasons. If one is – get a career counselor. While writing this post, I asked on Google Plus: What are your favorite OSR or OSR-adjacent releases so far from 2018? There were several others too, but those are the ones that stood out for me personally. I likely would not otherwise be aware of them. It strains credibility to think that I could have performed such an effective query without the label, or some other proxy label that everyone would mentally translate into OSR before providing any info. And I am a person into the scene enough know how to ask the question the roundabout way, with enough detail to make sense, in the right place. Ask a Pathfinder player how and why a classic dungeon crawl works and you are going to get a substantially different answer than something you might have written for Dungeon of Signs. In any case, whatever artistic school of art term you want to apply to the things you make, I want to keep up with it. Just let me know what blog to follow or whatever. This was a good post, and I read some good replies to commenters: honest, clear, and firm. Thanks, Brendan. It occurs to me that it might be useful to preemptively clarify that “chill” means several things to me, none of which entail a call for civility over all. More than anything, it means the freedom to be yourself without worrying about bigotry or prejudice, as long as you can treat others with dignity in the process. “Because it’s what my character would do” is an even worse justification for being cruel in real human interactions than it is for being antisocial in the guise of a fictional avatar in a game world. That’s some unicursal hex going on there. Great + useful thoughts too. Because my participation in the community is so limited, the label is quite important for me. I play a fair bit, or try to, and as often as not that’s with people I’m introducing to the game, people I’m trying to describe an ethos and a set of rules to. (“No it’s not that complicated! No it’s not a video game!”) My version of the OSR story was part of the DIY roleplaying games pitch. That story has to change now, big time. Maybe it’s more accurate to say, the story is still unfinished. But from my perspective, practically, a little balkanization of the OSR would actually be useful. I get what you’re saying about polarization. But that’s baked in to social media. Glad you’re gonna keep your blog going though. Hope to play more games soon! I remember when the GNS model was the big revolutionary idea in gaming, and then it got overused until everyone was sick and tired of it. The better ideas merged into the general gaming community, and the label was discarded, and then we went toward the next thing. Do you think the OSR will end up doing the same? It seems like successful creative trends end up being victims of their own success, and I can imagine that OSR concepts will merge into common design practices like they did with D&D 5e. It seems like that takes a lot of the impact out of the OSR, just like total retroclones took a lot of the wind out of Castles & Crusades’ sails. 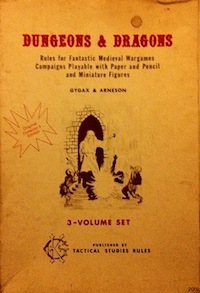 I’ve known of OSR authors who dropped out because D&D 5e gave them what they’d wanted and they didn’t feel like they needed to stick with older editions anymore. I think the ten billion zillion controversies, increasing toxicity, and collapse of Google+ will probably kill the OSR as a thing people identify with, but I do hope the game design philosophies remain.